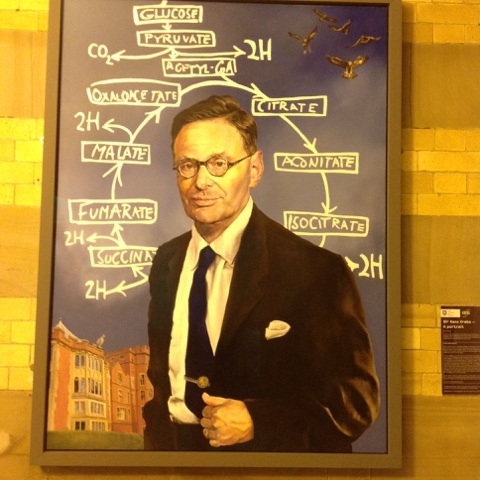 We've been spoilt rotten in Sheffield during the Krebs Fest -including departmental open nights, the schools film festival and lectures from Nobel-Prize winning scientists. 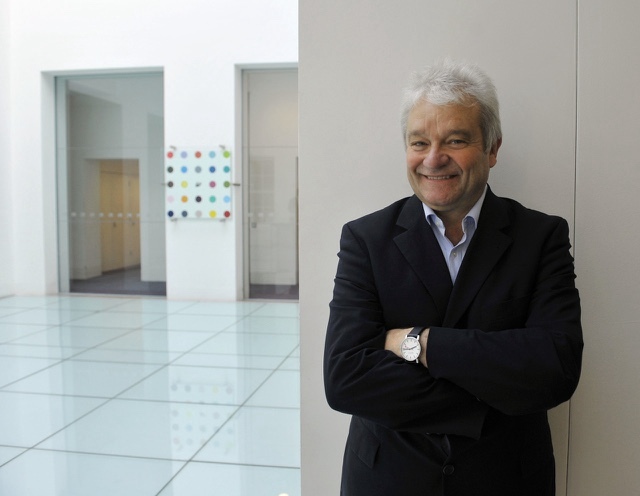 It's sad that this is coming to an end, but we're going out with a bang with guest speaker Sir Paul Nurse, whose insights on the cell cycle have fuelled tremendous advances in cancer cell research. A Nobel Laureate and President of the Royal Society "for three more days only", he gave us his views on what are the five "Big Ideas that have shaped Biology". "Biologists don't tend to talk about 'grand theories' or 'big ideas', unlike physicists who love them" Professor Nurse said. "They tend to prefer specific details, such as the number of hairs on a beetle's leg, the sequence of a gene and so on". Nevertheless, he feels that certain themes have helped to open up vast new areas of research by changing the way we approach the living world. It's hard to imagine how difficult it would be to study living organisms without understanding the smallest unit which you are working with. Yet the idea of the cell only originated in the 17 th century, when Robert Hooke looked down at a cork tissue using his fascinating new invention - the microscope - and observed that they looked rather like the 'cells' of monks' quarters. According to Professor Nurse, this demonstrates two principles: "technology begetting discovery" and "how once one person sees something, everyone spots it and the idea spreads like a virus". As microscopes become more and more sophisticated, we are able to see with increasing detail the tiny,microscopic processes inside cells which, combined together, sustain life in the whole organism. Understanding life at the cellular scale is crucial, for instance, in determining at what point things go wrong in disease - such as uncontrolled cell divisions leading to cancer. But it also offers us the opportunity to use that knowledge to put things right; as Professor Nurse observed, we now see headlines featuring stem cells almost daily. Although ideas about hereditary have been postulated since the time of the ancient Greeks, it took the rigorously mathematical approach of a quite extraordinary character to define the concept of a discrete unit of inheritance. Gregor Mendel, the famous Austrian monk, was in fact a 'failed physisict' who turned to biological research after he didn't pass the exams to teach at the Univeristy of Vienna. It might seem an odd career move, but Mendel's training meant he worked in a way that was unknown to contemporary naturalists, who typically investigated the world through observation. Instead, Mendel generated a theory and tested it quantitatively by patiently crossing thousands of peas to determine the ratios by which certain characteristics were inherited in the offspring. Curiously, others (including Charles Darwin) had noted these 3:1 inheritance ratios, but they "just noted it down and moved on"; what set Mendel apart was that he tried to explain it. Unfortunately, no one took any notice at the time, but since then "much of the science of the 20th century has been about giving a molecular understanding to Mendel's ideas". Indeed, as we learn more and more about the structure of DNA and how it shapes our lives, we encounter searching questions about our identity. For instance, as Professor Nurse said, "What does it mean for crime and punishment if our identity is genetically determined?" "If you go into a bookshop, you could be forgiven for thinking that there are only two topics in science: Evolution and String theory" said Professor Nurse. And you could be forgiven for thinking that Charles Darwin was the only one who came up with the idea. However, others had also pondered the idea of 'evolution by natural selection', including naturalist Alfred Wallace, whose letter to Darwin on the topic prompted the latter to publish On the Origin of Species. However, even earlier than this, the notion that living organisms could adapt to their environment over time was postulated by tree grower Paul Matthews in 1831. Surprisingly, these figures - whose names have almost dropped out of history - "didn't seem to mind not getting the credit" according to Professor Nurse ( compare this to the bitter feuds that arise nowadays between scientists over who gets to be named first author on a paper!) But why was this? Quite simply - Data. Darwin had amassed a vast collection of evidence to support his case, including his observations on the voyage of the Beagle, fossil specimens and his own experiments. It was only on the strength of this that the theory, controversial as it was, could begin to even be considered. Now evolution shapes our understanding not just of where we come from and where we are going, but also how we interact with the environment. For instance, can wild species adapt in time to cope with the changes we have imposed on the climate? And can we keep up with the 'evolutionary arms race' between superbugs and antibiotics? Whilst we like to think of ourselves in terms higher than the Periodic Table, the truth is, we are just a big bundle of atoms. But it was quite a leap for early scientists to start thinking of life in terms of chemistry, leading to the birth of biochemical research. French aristocrat Antoine Lavosier was one of the first to suggest that living organisms were based on mechanistic processes, rather than a vague force of 'vitalism', and likened a guinea pig respiring to a pile of burning charcoal. Unfortunately, his brilliant career was cut short by the French Revolution, leaving others, such as Louis Pasteur, to pick up the baton. Slowly we came to understand that "within our cells, just microns across, hundreds and thousands of reactions are going on". As Professor Nurse said, rather than thinking of the cell as a homogenous sphere, it is more accurate to view it as "a myriad of different environments, separate but connected", all engaged in different chemical processes. Being able to understand life in terms of its supporting chemical reactions is especially central to medicine, allowing us to use pharmaceuticals and other interventions to restore imbalances in metabolism. "All the big ideas and complex processes in life - such as homeostasis, reproduction and communication - can be reduced to a flow of information". According to Professor Nurse, an informatics approach is key to translating mere descriptions into true understanding how systems work. "For instance, DNA is a digital information storage device" he said. "We could describe it in terms of its structure - the atoms and the angles of the bonds - but true biological comprehension comes from understanding that these molecules store information and that the sequence of the bases is central to heredity". Similarly, the physical interactions between proteins and enzymes are only meaningful is we understand how these tightly regulate key chemical reactions. "We should think of cells like electrical circuits" Professor Nurse said "except these are 'wetware' not hardware - they can retire themselves to connect different components". "In physics, the smaller you go, the more bizarre it becomes" he concluded. " I wonder if biology is on the edge of such a transition into complexity..."